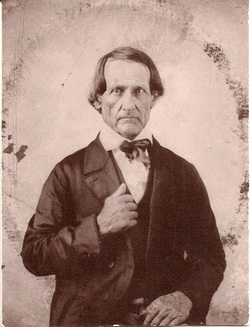 was born on 15 Mar 1827 in Tennessee, (or Ala). He died on 16 Dec 1910 in Near Selma, Drew Co Ark. buried in Selma, Drew Co. Ar. She married Vinston Snipes Grisham on 22 Dec 1847 in Holly Springs, Marshall Co. Miss., daughter of Dr Reddick Dishongh and Elizabeth S. Rainey. She was born on 28 Sep 1827 in Maury Co. TN. She died on 05 Oct 1889 in Near Selma, Drew Co Ark. buried in Selma, Drew Co. Ar. THOMAS WILKERSON GRISHAM. He died in Died same day (year not listed). WILLIAM EDWIN GRISHAM was born on 16 Oct 1848 in Holly Springs Cemetery, MS. He died in 1923 in Tillar, Drew Co Ark. He married EUGENIA PREWITT. She was born on 11 Oct 1853. She died on 18 Sep 1895 in Drew Co Ark. ELIZABETH PRUDENCE GRISHAMwas born on 12 Sep 1850 in Ms near Holly Springs (Shawnee?). She died on 04 Apr 1888 in Little Rock, Ark. She married THOMAS POLK HOWELL in Oct 1867 in Florence Church, Florence Ar. He was born about 1845 in Drew Co Ark. 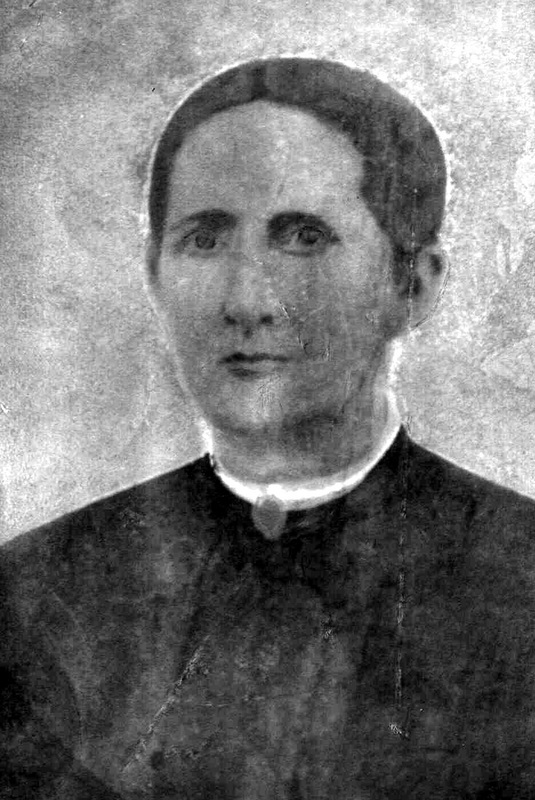 He died on 29 Aug 1899 in Fordyce AR Dallas Co.
MARY EUGENIA GRISHAM was born on 22 Oct 1852 in Tunica Co Miss. She died on 10 Apr 1950 in Oklahoma City, Ok. She married (1) JOSEPH WILLIAM RAWLS on 03 Sep 1890. He was born on 10 May 1849 in Ga. He died on 29 Jun 1919. She married (2) WILLIAM HENRY BOYTE in Dec 1868 in Florence Church, Florence Ar. He was born in Desha Co AR? He died in Indian Territory, Oklahoma. 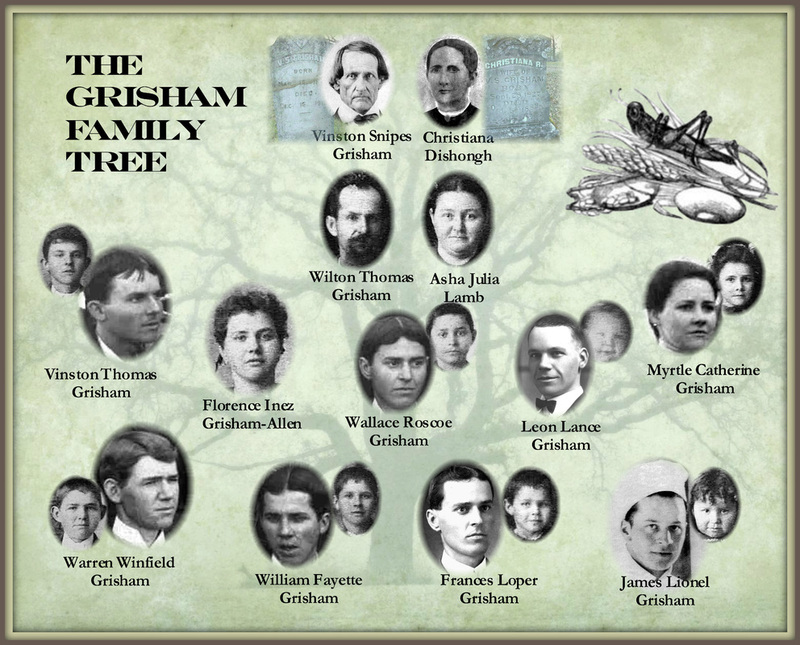 WILTON THOMAS GRISHAM was born on 22 May 1854 in Near Holly Springs Ms (Shawnee). He died on 25 Jul 1920 in Enon Drew Co AR (or Selma). INFANT SON GRISHAMwas born in Nov 1856 in Holly Springs Ms near Shawnee. He died in Nov 1856 in Died same day. INFANT SON GRISHAMwas born on 21 Oct 1859 in Holly Springs Ms near Shawnee. He died on 21 Oct 1859 in Died same day. REBECCA ANN GRISHAM was born on 12 Mar 1864 in Holly Springs Ms near Shawnee. She died on 20 Mar 1898 in Monticello Drew Co Ark. She married RALIEGH D. WELLS on 05 Dec 1892. He was born in 1859. He died in 1937. INFANT SON GRISHAMwas born in Holly Springs Ms near Shawnee. He died in Born and died same day. LIZZIE GRISHAM was born in 1870.